I am proud to have been a police officer and proud to have been elected Gloucestershire’s first Police and Crime Commissioner with the opportunity to shape the start of the next 176 years. As such, I recognise that it is possible to embrace change while respecting the finest traditions of the past. This new website, made possible through the HLF funded “For the Record” project, will enable us to reflect both past and present. 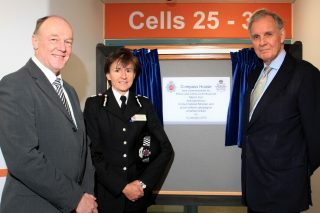 It will provide a window onto Gloucestershire Constabulary’s unique and growing collection of photographs, documents and memorabilia and the many stories it can tell and will let us gather and share new stories. I too would like to add my thanks and appreciation to all those organisations and volunteers who have made it happen.